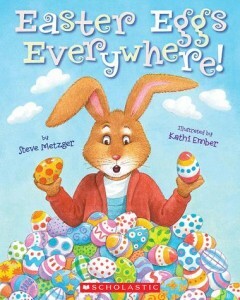 Download the FREE Scholastic Storia App and you can enjoy Easter Eggs Everywhere by Steve Metzger for FREE too! You’ll also get access to 5 more FREE eBooks when you download the Storia App. This app allows you and your children to read eBooks on your PC, iPad, android tablet, or Kindle Fire. Scholastic books are a lot of fun as they include more than just a story – they’re enhanced with animations and interactive games and lessons too. 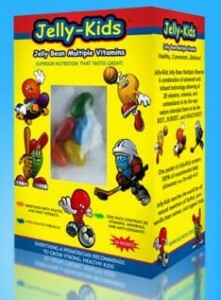 Request your FREE sample of Jelly-Kids Vitamins today! Fill out their quick and easy form and your FREE sample will be on it’s way. Visit Half Price Books and download the Reading Log. Record your reading time daily and submit your monthly log(s) to your local Half Price Books. A Top Reader Prize ($20 Half Price Books Gift Card) will be awarded for each age group, each month, at each store. Enjoy the time spent reading with your little ones! Take your completed Reading Journal to your local Barnes & Noble store. Chose a FREE BOOK from the Reading Journal list at the store. Visit Pottery Barn Kids online to download the Pottery Barn Kids Summer Reading Challenge book list or pick up a copy at your local store. Enjoy reading all summer long and track your child’s progress. You can print a Certificate of Completion and enter to win a backpack full of books. Visit your local store to pick up a FREE book. 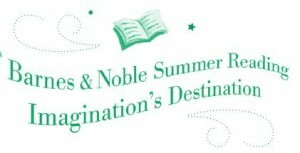 Summer Reading Challenge is available to kids 10 and under. FREE book must be redeemed by 8/31/12. Limit one FREE book per customer, while supplies last.